'Rain in the City' has 70 files and more than 3 hours of recordings of light rain and storms in the city. This collection includes both indoor and outdoor ambience recordings from the 9th floor of a city building, within a vehicle, and on the street. There are also recordings of rain drops from the roof and drip cap, as well as rare recordings of a hail shower, flowing rain water through drain pipes and storm drains, and rain onto umbrellas, a car, and metal surfaces. • Unique recording of a storm in the city of Minsk from the beginning to the end. • The storm caused a lot of thunder, heavy rain, and over 100 fallen trees in the city (24 liters of rainfall per square meter). • Ambience rain recordings have light, moderate and heavy storm intensities. • Indoor recordings with opened and closed window for scenes in the buildings. • Designed short loops of diffuse rain sound with 3 levels: heavy, moderate and light. You will find noisy crowds in the restaurant’s garden during dinner, a typical atmosphere of a large German restaurant (beer house), a small café, a kitchen in a small restaurant (during lunch preparation), kitchen room tones, warehouses, etc. Lacking clean constant room tones for post production work? This library delivers more than 4 hours of professionally recorded room tones from empty office rooms, basements, staircases, corridors to more exotic locations such as a sauna. Recordings are 5 minutes long, clean and do not include any environmental details and can be used in wide range of productions. 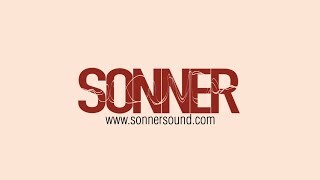 A perfect addition for post production company or freelance sound designer sound effect library. ‘Smooth City Traffic’ by Badlands Sound includes 21 high-quality city traffic ambiences great for your projects. Hear the smooth sounds of traffic rushing through the city. This library was recorded by Sound Devices 702t with a pair of Line Audio CM3’s and a matched pair of Sennheiser MKH 8040’s in 96k / 24bit. Feel the weight and the whooshing of the various vehicle passbys rushing through the city. You will also notice the unique qualities in each file like a car passing by with a flat tire, semi trucks, sports cars speeding by, as well as aggressive diesel trucks.